France has announced their final 23-Man squad for 2018 FIFA World Cup which included quite a few surprises most notably Martial, Benzema and Rabiot missing out. 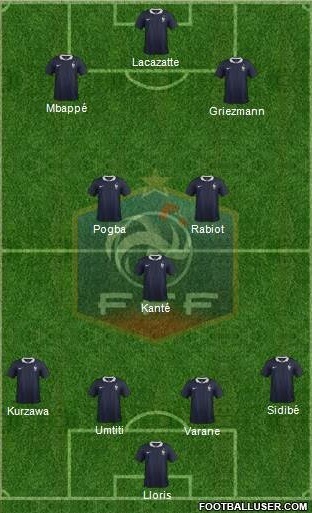 Didier Deschamps went with in form players and squad shows how France are likely to setup with attacking intent. 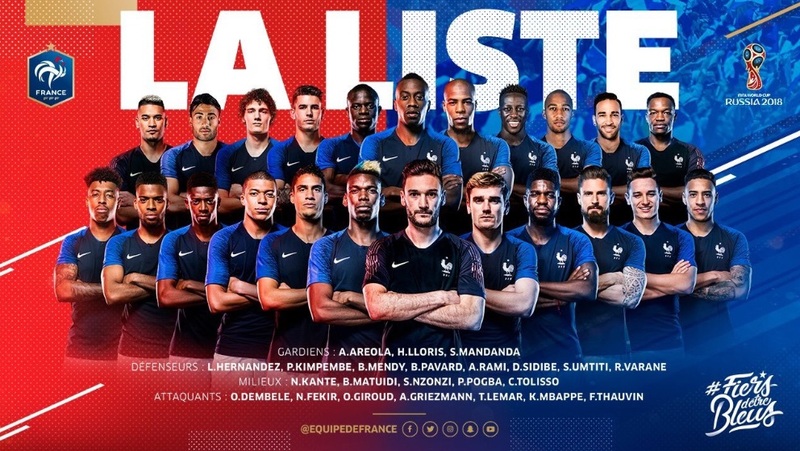 Confirmed France 23 Man Squad: Football seasons still going after the end of the season and in the month May there will be official squad announcement made by the (Didier Deschamps). France has the most talented squad in the world and their national team coach (Didier Deschamps) has been doing a very good job to get the best of incredible pool of talent he has at his disposal. He took over as national team coach back in July 2012 and since than France have been improving gradually and reached the final of Euro 2016 losing against Portugal. Didier Deschamps is a attacking minded coach and although team is full of players reaching their peak, they still do not control game the likes of Germany and Brazil do but France are deadly on the counter and that how they are likely to lineup with pacy wingers in 4-3-3 formation. Antoine Griezmann is the star striker upfront who finished are top goal scorer in Euro 2018 and hitting the form just at the right time going into the world cup. He will be supported by Kylian Mbappé and Lacazatte/Thomas Lemar in three man attack. Paul Pogba, Adrien Rabiot and N’Golo Kante are set to start in midfield roles. As far as defense is concerned, Laurent Koscielny is likely to start alongside Rafael Verane in central defense. Benjamin Mendy would have been first choice but considering he has been out for long due to injury we can expect PSG’s Layvin Kurzawa to start at left back or even Barcelona’s Samuel Umtiti with Sidibe to start at right back. Hugo Lloris to captain France in the World cup 2018. Mbappe might have completed his permanent deal to PSG by the time he board the plane for Russia and he will be the key player for France with his pace and trickery. Ousmane Dembele is another one who might not start every game but when called upon should take his chances.